All of the above! Option D Graphics has helped me grow my small company in a big way. Competitive pricing and many unique product options were available to me making my purchasing decisions easy. I would recommend them to anyone. Wether you are in need of 1 to 100's we can provide a consistant quality product. 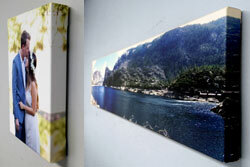 We print all banners in full color at a high resolution with outdoor inks producing great results. Most of our banners are hot air wealded increasing the strength and durability of this product. Our large printing capability means we can usually turn banners up to 96" in width by any length around quickly within a day or 2 if needed. Whether you just need a new graphic for your existing booth or an entire booth with lighting, travel cases and LCD tv’s we got you covered. 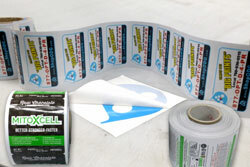 We offer a complete line up of tradeshow collateral from many of the current booth manufactures. Our capabilities range from printing on wrinkle resistant fabrics to rigid components in eye-popping color. 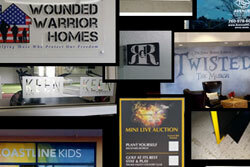 We do a huge variety of signs for indoor or out door appliactions. 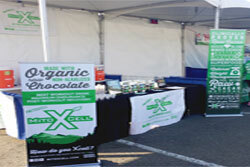 We produce short term signs for events and log term outdoor signs capable of withstanding the elemnts for years to some. Our expertise with the media print on to the substrates we mount to will ensure you have the right stuff for the right job. 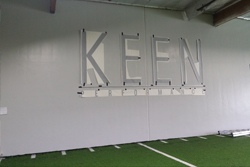 We are experts when it comes to indoor and out door signage appliactions. We can produce decals of almost any shape, size or quantity from 1 to 10 to 100's or 10000's. One color to full color is no problem. Short run decals of 500 pcs or less can be quoted on low tack to air-release or high tack vinyls, with lamination choices of: matte, gloss, anti graffiti ortextured slip resistant(UL Certified). Sizes can range from 1" x 1" to 50" x 80"
Have an upcoming event? We have you covered from fabric to fomecor to floors. We offer a wide variety of exhibit frames and accessories sure to grab your targets attention. 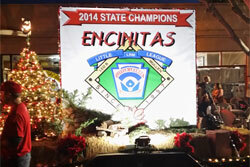 Signs, decals, retractables, floor graphics, and local on-site installations or deliveries. We work with your budget and needs to help you make your event a success. We install a wide variety of graphics high or low. Decals, banners, window perf, pole signs, vinyl decals or stand-offs we are prepared to tackle it all. Simple to complex jobs are not a problem. We install for other companies remaining completely anoymous to your client We are a fully insured corporation with over 16 years of sign experience. Let us work for you!